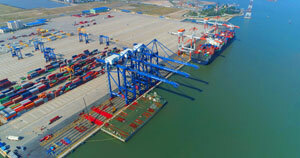 HCM CITY — TTC Attapeu Sugar Cane Sole Co., Ltd, a subsidiary of Thành Thành Công Biên Hòa JSC (TTC Sugar), will export its sugar to the European market following an agreements with the UK’s ED&F Man Sugar. 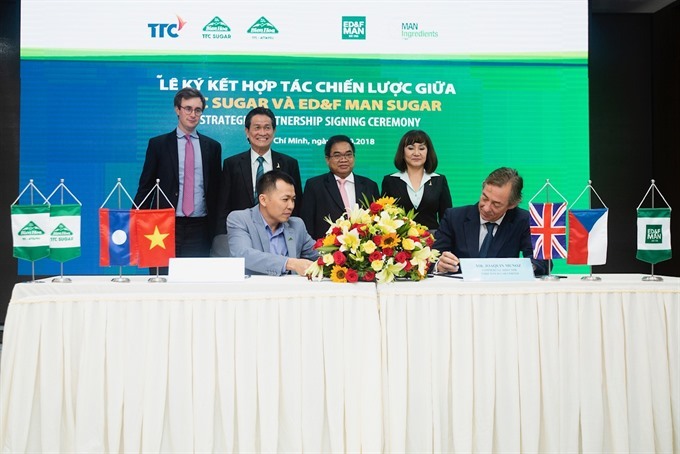 The British company, the world’s third largest sugar merchant, signed two memorandums of understandings on October 26 for buying products TTC Attapeu makes in Laos, including organic golden cane sugar and golden cane sugar, for the next five years and exporting TTC Sugar’s products from the 2018-19 sugarcane crop to the European market. Organic golden cane sugar is produced by TTC Attapeu to organic standards from planting to processing, without using GMO (genetically modified organism) crops, chemical fertilisers or pesticides, bleaching powder or other chemicals. The factory has ISO 9001:2008 and ISO 14001: 2004, FSSC (Food Safety System Certification), HALAL, and Kosher certification. 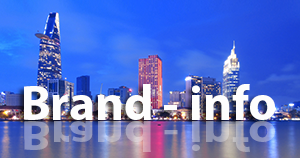 Besides, its products are packaged in environment-friendly materials. The product has been certified by Control Union as meeting USDA and EU organic standards, and qualifies for exporting to lucrative but fastidious markets such as North America. Besides, the tie-up with ED&F Man Sugar will take to the European market TTC Attapeu’s Golden Cane Sugar, which is made from 100 per cent pure sugarcane using the modern crystallisation method and without artificial colours and odours to keep its natural flavour. TTC Sugar, which owns 62,300 hectares of land for growing sugarcane, offers diverse sugar products with a focus on high-value product lines such as organic sugar and premium refinery sugar besides sugar by-products and post-products. In 2016 TTC Sugar bought a 7,000ha sugarcane farm in Attapeu Province (Laos) from Hoàng Anh Gia Lai in an M&A deal. TTC Attapeu has focused on cultivating sugarcane on a large scale that enabled a shift to organic production. In the 2018-19 crop it has nearly 1,000 ha of certified organic farm, and the company expects to produce over 40,000 tonnes of organic sugar by 2022, he said. TTC Attapeu Sugar Cane Sole Co.